It really is not difficult to have your UK or other non Spanish vehicle 'matriculated' into a Spanish registered vehicle. Does not matter which side the steering wheel is on. 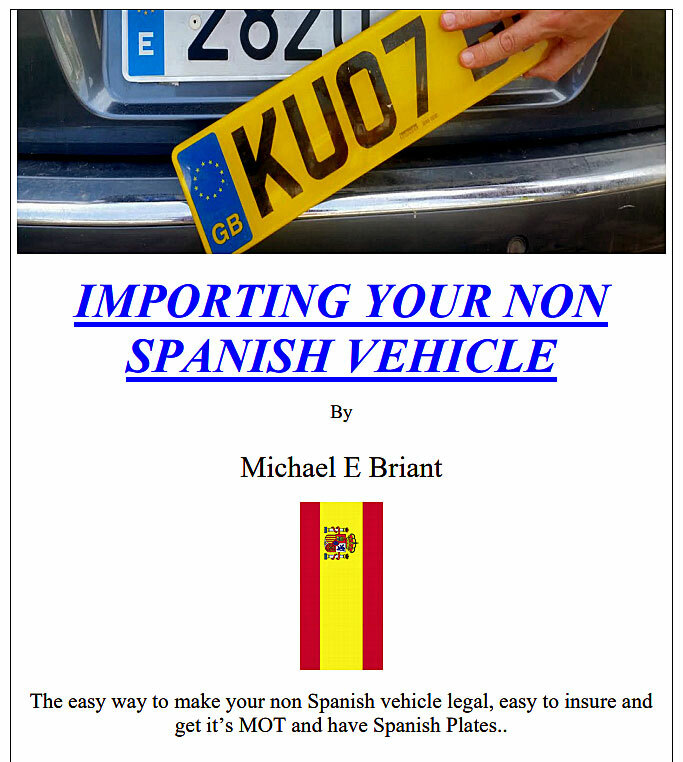 The least expensive and easy way to make your non Spanish vehicle legal, easy to insure and get it’s Spanish MOT..
You have to obtain several original documents and whether you follow the simple steps in this book or employ a ‘specialists’ to do it for you, there is no other way of getting some of the documents except by doing it yourself! There are various reasons for wanting to legally import your non Spanish car, van, motorcycle. The most common is that the MOT has run out and it’s an expensive business to take the vehicle home get a new MOT then bring it back to Spain. Your UK insurance is not valid unless the vehicle has a current MOT. Another reason is you have taken Spanish residency and the law states that as a Spanish resident you are not allowed to drive a ‘foreign’ (non Spanish) registered vehicle. Or you are moving permanently to Spain and you want everything to be legal and correct.